What can Structural Chiropractic do for me? The term we use for this is headaches. Headaches are a fairly common pain for everyone, and most people just rely on medication like aspirin to deal with it. What these people do not realize is that the pain causing the headache may be coming from some other region in the body and will continue unless treated. Kingwater Chiropractic Specializes in Headache and Migraine Relief. Stress, back, and even muscle pain can send pain signals to the nerves, arteries, and veins inside their head to cause these headaches. Chiropractic care can relieve and correct the problem causing the pain. We want to help you live your life pain free. There are also ways you can help yourself, like keeping active and getting daily exercise. Dr. Kingwater can help relieve your symptoms. Click below to learn more. Stop the Suffering. 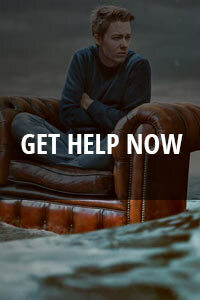 Get Help Now. Tired, drained, exhausted, and depressed? Sinus and Allergies got you down? Irritable and unreasonable for no reason? An unbearable pain inside your head? Back pain is a growing epidemic. Pain in the fingers, hand, or wrist. Moderate to severe joint pain. Pain radiating along the sciatic nerve. Neck pain is a pain in the neck. I just wanted to write you a letter of thanks. As you know I live a very active lifestyle. I have been a professional in three different sports, bodybuilding, extreme dodgeball, and put-put golf. I’ve broken bench press records, Won strongman events and pushed my body to its limits. Over the years I have been to many chiropractors. In that time I’ve never encountered an individual with the knowledge of the workings of the human body and also a sincere passion for helping people as you. On numerous occasions I have been in rough shape and needed your assistance not only in the areas of spinal adjustment but also muscle strains, pulls, joint pain and list goes on. Many times you would get me in when I didn't even have an appointment. I’ve always left your office feeling better than when I came in. You are great at what you do! I have always and will continue to recommended you to anyone who is suffering with an injury or has pain.Thank you for making a difference. Get to know your options. If you are ready to Feel Better, simply give us a call at 315-768-8284 or Click below to get started!